Address: Reina Sofía, 30, Puerto del Carmen (Lanzarote), Islas Canarias. This apartments boast a large outdoor swimming pool. 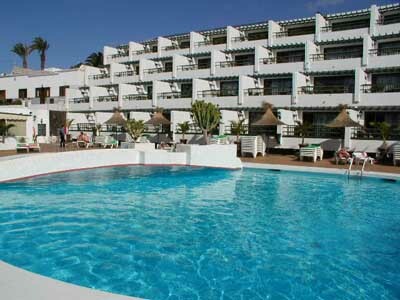 They are located in the old town of the Puerto del Carmen resort, 400 metres from Playa Chica Beach. Each apartment has a terrace or balcony. La Florida has a garden and a terrace. A WiFi hotspot is available in the area for an additional cost. All apartments come with a small kitchen with a fridge. The Apartamentos La Florida are located a 10-minute walk from the Biosfera Plaza Shopping and Leisure Centre. The charming fishing village of La Tiñosa is nearby. Please note that the property does not have a front-desk, therefore guests should inform Apartamentos La Florida in advance of their expected arrival time.